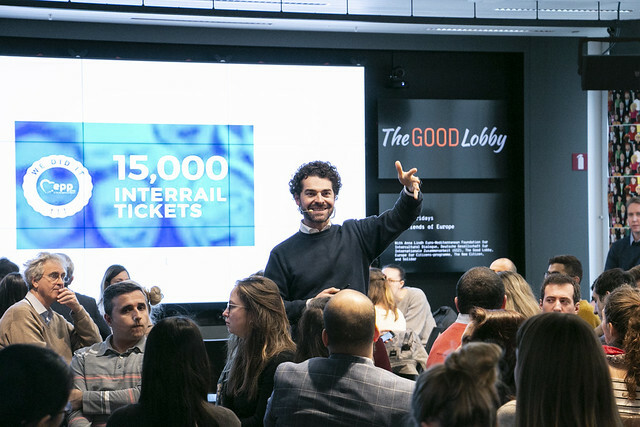 In cooperation with Friends of Europe, The Good Lobby will host a two-hour-long, skills-based workshop at TownHall Europe. Jointly led by Albert Alemanno, an academic and activist, and Alexander Mäkelä, a former public policy associate at Facebook, the workshop will support citizens interested in the methodology of citizen lobbying by equipping them with the tools necessary to become more effective and responsible digital users. "Social Media for Change" is the first of the "Funky Friday" series run in partnership with Friends of Europe to stimulate fresh thinking on the ideas of citizenship, leadership and Europe in a collaborative setting. Join us for an interactive, skill-based workshop supporting citizens interested in learning the lobby tools available to make meaningful changes in society by becoming more effective and responsible digital users. The workshop will be led by The Good Lobby and Alexander Mäkelä, a former Facebook public policy associate. Alberto is an academic, author and activist. He’s currently Jean Monnet Professor of EU Law at HEC Paris and Global Professor of Law at New York University School of Law. Due to his commitment to bridge the gap between academic research and policy action, Alberto pioneered innovative forms of civic engagement and campaigning in the EU transnational space via his civic start up The Good Lobby and his campaigns contributed to democratizing the EU. His last book, ‘Lobbying for Change: Find Your Voice to Create a Better Society’ provides a timely analysis and guide to levelling the democratic playing field by empowering ordinary citizens to speak up and inform policy decisions at local, national and international level. A Harvard graduate, he’s a regular contributor to Le Monde, Bloomberg, Politico Europe, Forbes, and Il Sole 24 Ore, and his scholarly and public interest work has been featured in The Economist, The New York Times, the Financial Times as well Science and Nature. The World Economic Forum nominated him Young Global Leader in 2015. Alexander Mäkelä is a Public Affairs specialist who focuses on tech and civil engagement. He was formerly employed as a Public Policy Associate at Facebook and was a Junior Research Associate at the Impact Assessment Institute. He has also worked at the European Commission in the Unit for Job Creation at DG Employment, Social Affairs and Inclusion, where he analysed European labour markets. He has previously researched and published work within areas of innovation, SMEs and digitalisation. In addition to these roles, Alexander worked on product development for companies such as L’Oreal and The Body Shop. In Sweden, he set up a home for refugees and asylum seekers, with support of the Swedish migration office, which he helped run during the years that saw an increase in the number of people migrating to Sweden.